What does the Scrum Product Owner training include? The Product Owner is the one who represents the customer in a scrum team. It is an entirely new role that is crucial for a properly functioning scrum team. In the Scrum Product Owner training, you will learn how to surprise your customers and stakeholders with good and quick results from your projects. Optimising the results for the customer is the most important task of the Product Owner. After following the Product Owner training, you will be fully capable of professionally fulfilling this role. You will feel confident in executing the role of Product Owner. You will have the knowledge that is essential for properly executing the role of Product Owner. You will have experienced the role of Product Owner in practical simulations. You will directly be of greater value for your own organisation. You will go home inspired by the experience and practical examples (in non-IT organisation) of our trainers. You will be prepared for the Scrum.org PSPO I exam. This component of the training serves as a general introduction into the world of Agile. Scrum and the Product Owner role are directly brought into the bigger picture here. The Scrum Framework will be treated before we delve into the Product Owner role. Our trainers have lots of practical experience, by which the theory is supplemented with examples. The role of Product Owner. A considerable part of the first day is devoted to the role of the Product Owner. This includes the following questions: When are you a good Product Owner? What competences belong to this? How do you cooperate with the Scrum Master? What mistakes are often made? Vision is needed in order to achieve results that will delight the customers and other stakeholders. Vision is your responsibility as a product owner. Game. Because many people learn best by doing, we will start a game on the first day in which the theory is applied to practice. You no longer have thick project plans in Scrum. The most important document that is kept by the Product Owner is the Product Backlog. What exactly is a Product Backlog? How do you design one? How do you set the right priorities? The Product Owner game started on the first day and you will proceed with it during the second day. Back in the days, you used to deliver your entire project all at once when it was finished. In a scrum project, you would rather deliver a project in small parts. This enables you to obtain more feedback from customers during the period in which the project is running. Planning these “releases” is an important task of the Product Owner. We will practice with exam questions of Scrum.org in order to be prepared for the exam as good as possible. Achieving an official certificate through Scrum.org is optional. See the tab “Certification” for more information. Note: No prior knowledge is needed for this study. If you have followed our basic trainings, this training will partly involve repetition. Why choose Agile Scrum Group? Agile Scrum Group is specialised in Scrum for non-IT organisations. Our trainers have a lot of practical experience, which brings the theory to life in our Product Owner training. The best evidences for this are the good reviews of earlier participants. We score 8.5 out of 10, and we are proud of this! Our training days always start at 09:30 and end around 16:00 (including lunch). The trainings occur in Meeting Plaza, Utrecht. Do you have any questions about our Product Owner training? 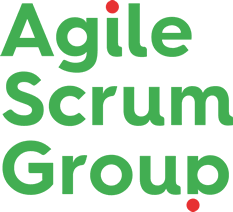 Please contact us on 020 2614 195 or info@agilescrumgroup.nl. We would be happy to be of further service! After finishing the course, you will receive an Agile Scrum Group certificate. 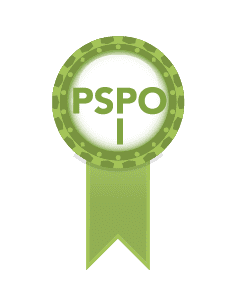 If you choose to take an exam through Scrum.org, you will also receive an officially approved PSPO | certificate that shows that you are qualified to function as a Product Owner. Do you choose for the PSPO I exam? After the training, you will receive a code by email that you can use for a single attempt for the online exam. The price includes all training materials, the Agile Scrum Group certificate, and drinks/lunch. The price excludes VAT. Did you know that a part of the costs of this training will be recovered when you book a follow-up training? Read more about training discounts here. Would you like to organize this training in-company? This is possible from 4 participants. Call us on 020 2614 195 or email us and we will send you a quotation based on your situation.